What have the Socceroos learned from previous Asian Cup campaigns? The Socceroos kick off their Asian Cup defence against Jordan on Sunday night. It will give us a chance to see if they’ve learned anything from previous campaigns. We might need to give John Safran another call, because Graham Arnold may just be cursed. First Aaron Mooy, then Mathew Leckie and now Martin Boyle hobbled by injury? Just how many ladders did Arnold step under en route to taking charge of the national team for the second time? Arnold is a very different coach to the one who struggled with the spotlight during Australia’s disastrous 2007 Asian Cup campaign, even if his bullish comments about having “goalscorers everywhere” sounded vaguely familiar. There’s no point claiming the A-League should be a breeding ground for Australian talent, then complaining when a bloke like Arnie makes the leap from club coach to the international arena. And Arnold has surely learned from the debacle of 2007, when captain Lucas Neill’s pre-tournament claim that he expected Australia to go through undefeated put the Socceroos under pressure before a ball had even been kicked. 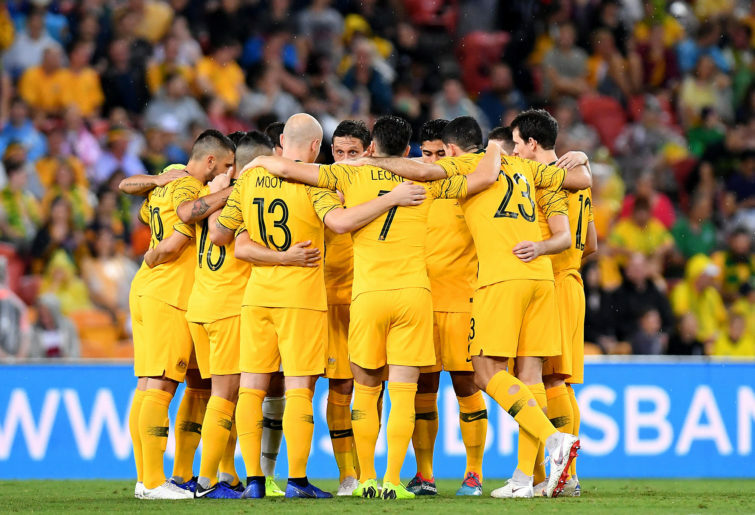 Defending champions they may be, but it’s hard to see how the Socceroos are favourites to reclaim Asia’s continental crown in the unfamiliar surrounds of the United Arab Emirates. That would have been true even if Mooy, Leckie and new sensation Boyle had been fit enough to feature from the start. But if there’s one idea Australian football needs to move on from, it’s that the international game is static. 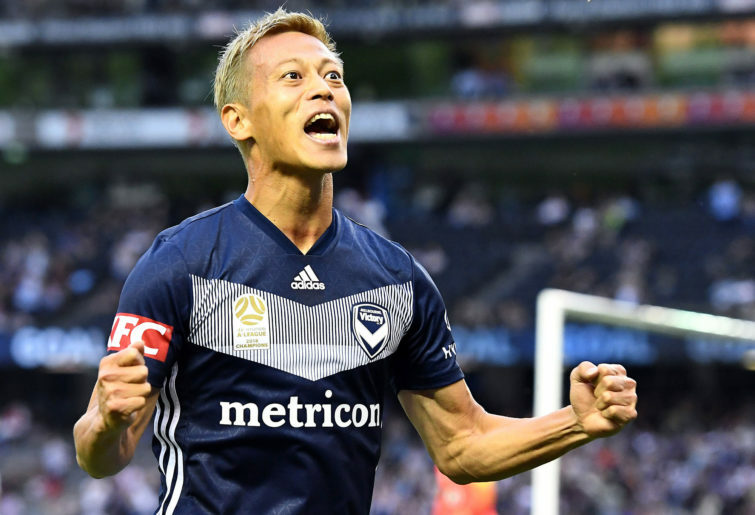 Japan head into the tournament without long-term stalwarts like Shinji Kagawa, Makoto Hasebe and current Melbourne Victory star Keisuke Honda, but it won’t stop coach Hajime Moriyasu from dreaming of winning a fifth Asian Cup crown. You want to know why? Because the Samurai Blue habitually regenerate their national team instead of obsessing over golden generations and pining for past glories. The 2019 Asian Cup shouldn’t be viewed as a lost cause because a couple of familiar faces might not feature, it should be viewed as an opportunity for the players called up to replace them. And it’s also an opportunity for the Socceroos to remind the Asian Football Confederation that Australia is a worthy member. You could write a thesis on Australia’s relationship with Asian football – although having done so myself, it’s not something I would recommend. But as journalist Trevor Thompson reminds us in his meticulously researched new book, ‘Playing For Australia: The First Socceroos, Asia and World Football’ – which you can get from Fair Play Publishing – our relationship with Asian football stretches back long before Australia joined the AFC in 2006. We still have next to no understanding of how Asian football actually works, and our ambivalence is perhaps best summed up by the fact there are currently seven Spanish players in the A-League – eight if you count Isaias – compared to the solitary Asian representative in Honda. That said, there’s a bit of a tendency for self-flagellation in some quarters, without considering the fact there are two parties involved in this relationship. While it’s true we must do more to improve our relationship with Asian football, so too could the AFC learn a thing or two from the way we Aussies go about our business – not least the fact that the football should always matter as much as the bureaucratic side of the game. One man who always went about his business in an inimitable fashion was former Brisbane Roar managing director Mark Kingsman, and it’s my sad duty to offer sincere condolences to his family and friends following his untimely passing on Wednesday. Mark was a genuine football man who poured his heart and soul into running Brisbane Roar in trying circumstances. He was quick with a joke and even quicker to offer an opinion on the state of the game, and he will be sadly missed. Vale Mark.